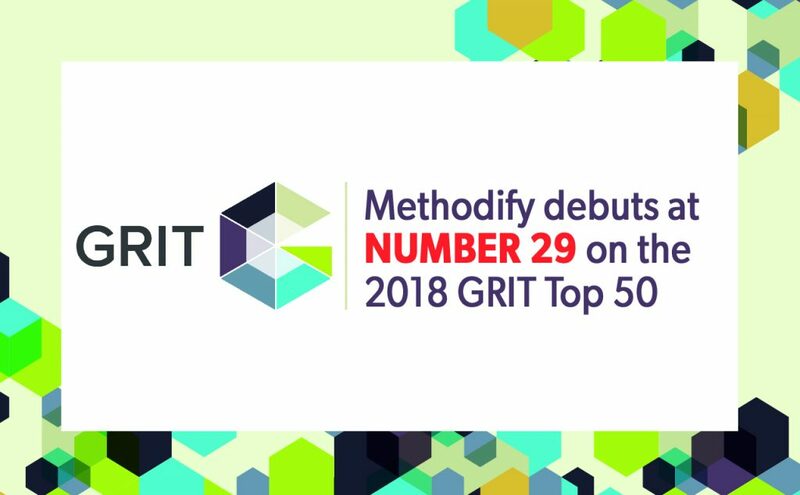 That’s right, Methodify, Delvinia’s research automation company, has ranked among the most innovative suppliers in the market research industry, debuting at number 29 on the 2018 GRIT Top 50. Over the past eight years, the GRIT Top 50 has become one of the key metrics many companies use to understand their position in the marketplace. At its core, it is a brand tracker using the attribute of “innovation” as the key metric. Each year the GreenBook Research Industry Trends Report measures how market research suppliers and clients are leveraging this brand element. Developed by the Delvinia team, Methodify is a research technology platform that makes it easier and faster for companies to access crucial consumer insights. Essentially, in 24 hours or less, organizations can get consumer validation on any challenge businesses may have. If you’re attending IIeX North America 2018 next month, we’ll be there too. Methodify is sponsoring the Atlanta event and three members of our executive team are speaking. So, check your agenda and plan to attend the presentations from Raj Manocha, Steve Mast and Adam Froman. For more information, visit the IIeX conference website. For more about Methodify, visit www.methodify.it.